Previously known as Volcano Bar which was a great name considering the old volcanic exterior this bar flourished as Lancelot Bar. 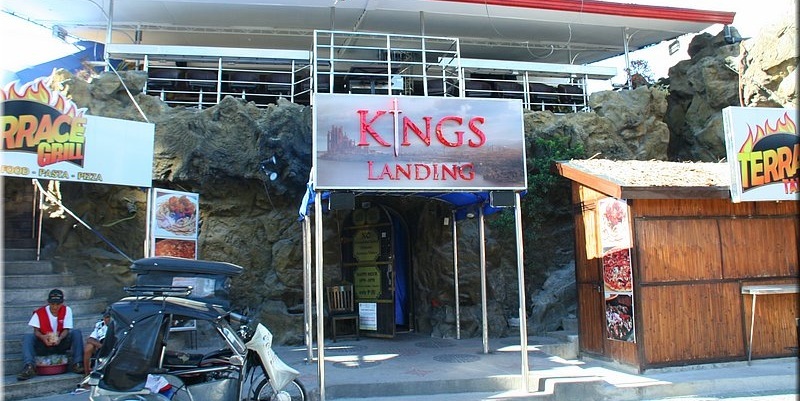 Now emerging as Kings Landing the Bar has reached all new levels of fun and excitement and continues to grow as a popular Walking Street destination. The overall theme gives a majestic look to the bar. With a beautiful centre stage for the girls to perform you can be sure to feel like royalty. As the bar has changed names from Volcano to Lancelot to now Kings Landing this bar has definitely gotten better with age. Kings Landing is well known for the energetic vibe and entertaining girls. With good beats playing, a nice line up of fun girls and experienced management you will enjoy your time at this bar be it at the start of end of your night. Be careful though you just might find yourself stuck here for the rest of the night.